for those who relay want to invest in Forex not for gamblers. that only work if there is reversal trade & no SL by way that never destroy your balance if you follow the Recommendations. the Recommended time frame for work : 5M Chart or 15M Chart. UseMultiples = this parameter allow to use martingale algorithm if its true then make SL =0 make it true only if your account balance more than 5000$ or 10000$ As explained in the recommendations. 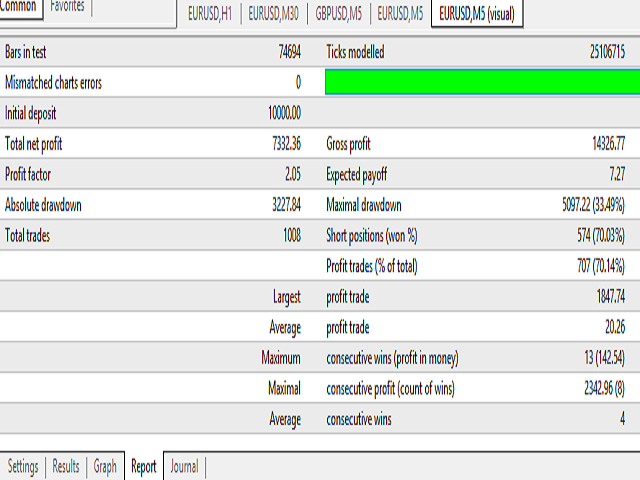 MAxmultiples : this parameter is increase number of martingale trades make it true only if your account balance more than 50000$ or 100000$ As explained in the recommendations. 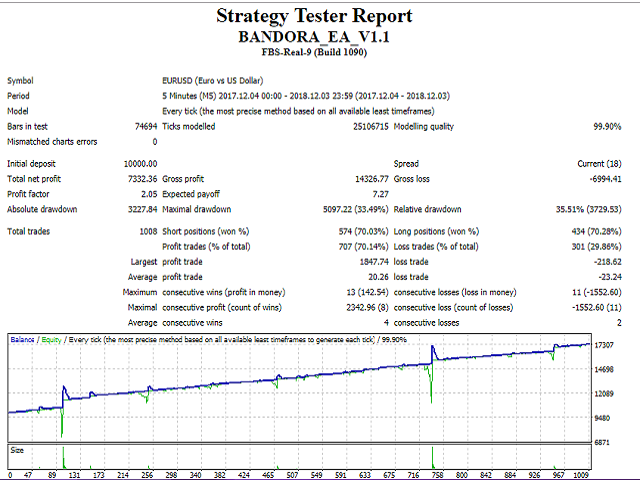 enterafterpips : the number of reversal pips that if the price is more or equal it will open a new martingale trade. startlot: lot size for the first trade. 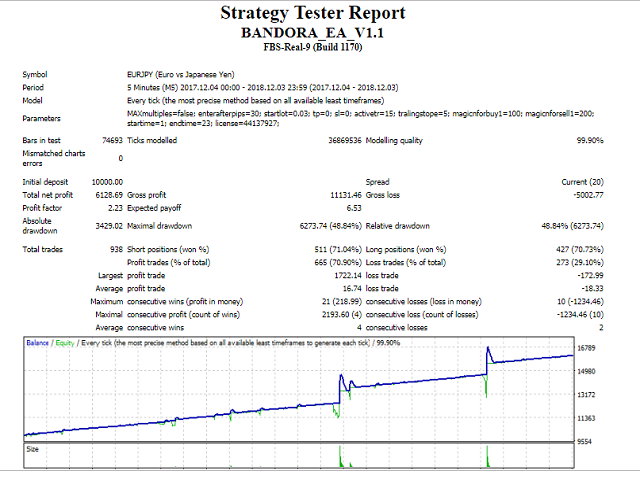 activetr: this parameter will be the activation of the trailing stop after the trade is in profit . 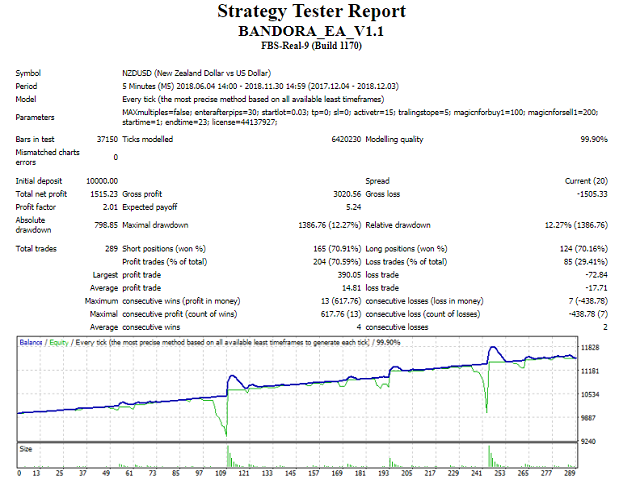 just put the number of pips and it will be activated after profit . tralingstope: the trailing stop pips for all orders. magicnforbuy1: the magic number for the first buy order . for example magicnforbuy1 = 100 , magicnforsell1=200 & it will be changed for each pair if you run the ea for more than one pair . 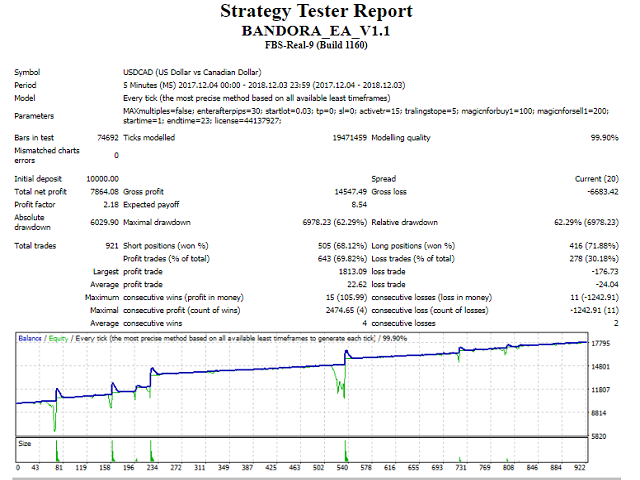 As tested on strategy tester for 10000 $ account.